CCI Industries manufactures a line of Best Built Commercial Doors, Industrial Doors, Interior Swing Doors, Strip Doors, Stainless Steel Doors, Air Curtains, Fly Traps and many more products. Our Best Built commercial doors and industrial doors are made to last and provide you with years of great service. We have swinging restaurant doors, warehouse doors, stainless steel doors, impact doors, clear PVC doors, strip doors and our most heavy duty, durable series of our Pro Tuff and Ruff Tuff commercial and industrial doors. Our commercial kitchen doors swing both ways and open with as little as 1 lb. of pressure. If you are looking for an industrial door that will take a pounding, choose one of our Best BuiltÂ™ industrial swinging doors. Our VinaFlex strip doors and strip curtains reduce energy costs, help improve employee comfort and reduce dust and debris. Vinyl pvc strip doors are economical and long lasting. The clear PVC strip curtains are easy to install. Our clear vinyl strip doors come in a variety of strip widths and can be configured for any door or room of any size. Use strip doors for walk-in coolers and freezers, warehouse doors or to separate rooms from dust, smoke or temperatures. Our Vinaflex PVC Roll Stock is perfect for the do it yourself company. If you need to make a strip door, PVC strip curtain, our flexible transparent PVC roll stock is the perfect choice. Save money using clear PVC roll stock. Purchase hardware separately and hand the clear vinyl plastic PVC strips yourself. PVC Roll Stock is available in many sizes, gauges of thickness' and strip widths. Need a clear PVC sheet? We will cut to size for you. Air curtains are effective in keeping temperatures controlled inside while the heat or cold on the outside is prevented from coming in. Air curtains also prevent insects, dust and odors from penetrating the building. 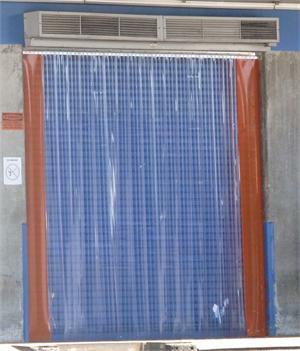 Air curtains are available in a number of sizes and strengths. Air curtains save energy and boost employee moral. Use air curtains for walk-in coolers and freezers, warehouses, dock doors, delivery doors, store entrances, drive up windows and many more applications. Also carry a line of Mars Air Doors and curtains. 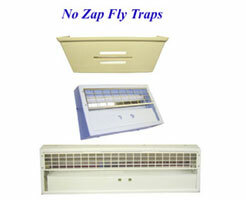 Our high quality No-Zap Fly Traps will control any flying insect problem. Our fly traps are safe, silent and effective. The fly traps use a glue board with a sexual attractant and florescent system to attract and trap flying insects. No zapping sounds, no burning smell and no particle spray from an electrocuting grid. Pest control at it's best! 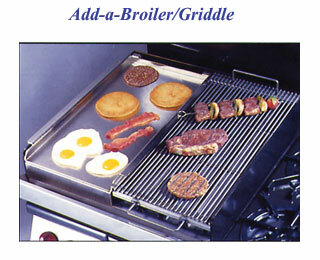 Our No-Zap flytraps comply with current FDA and USDA codes for use in and around food prep and processing areas. Choose a fly trap that will meet your needs, from our NZ5000 for up to 2,500 sqft. to our attractive sconce model perfect for dining areas.